The #ScotWomenStand campaign builds on the success of the ‘100 for the 100th’ events, jointly organised by YWCA Scotland - The Young Women’s Movement and The Parliament Project. Held in June 2018, these events saw 100 women come together to discuss what was needed for a gender equal politics. Learn more about this fantastic event, and all of the action-focused initiatives that continue to result! Inspired and inspiring women at the 100 for the 100th event in Edinburgh. 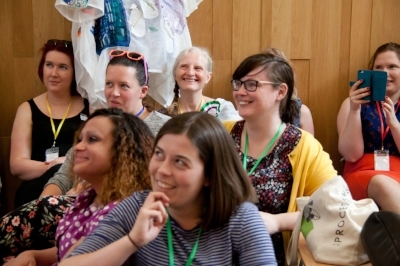 On 30th June 2018, 100 women gathered together at the Grassmarket Community Centre in Edinburgh for a vision-building event to celebrate Scottish Suffragettes. The room was bustling with a glorious group of women with a rich variety of life experiences and different political perspectives, but the key thing we had in common was that we were all women with a passion for gender equality in politics who wanted to make an audacious plan! YWCA Scotland - Young Women’s Movement and The Parliament Project organised the day with a grant from the Scottish Government Vote Centenary fund. In my role as Programme Manager for The Parliament Project, one of my jobs was to ensure that we had a wide range of women’s voices in the room contributing to the discussion. It was important that we made access requirements for any woman that needed it – be that BSL interpretation, financial support for travel or childcare, quiet space, PAs (personal assistants). By ensuring these needs were met, women who don’t always have the opportunity to attend events such as this were at the heart of the conversation. Collaborative action planning and Zine-making at the 100 for the 100th event in Edinburgh. Together, those 100 women set about making the first steps of a plan of action to raise the numbers of women of all ages to take their place in our Parliaments and local and community councils across the country, to bring about gender equality in politics in the next 5 years. This was an ambitiously short period of time (2018-2022) because we don’t want to wait another 100 years to see the reality of gender equality in politics and the difference that will make to our society. 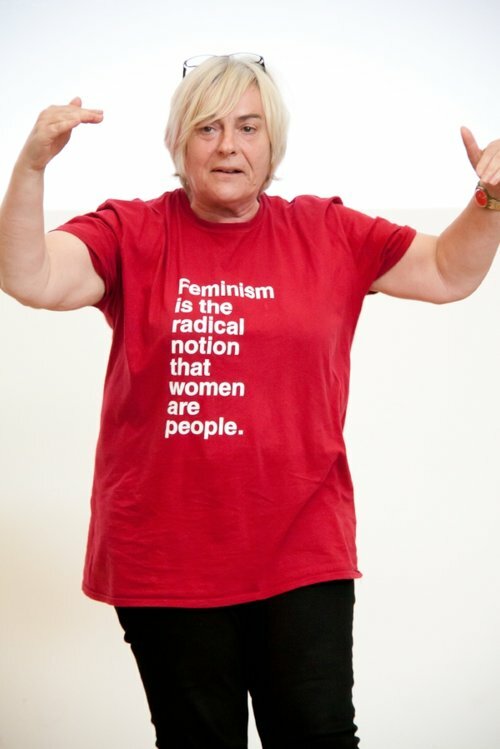 We heard from a glorious range of females: an artist, a girl, a comedian & a suffragette. We made zines. together, we ate together, we muraled together and we made an audacious plan! It was a hot, hot day and the room was heavy with the heat, but we smiled, sweated and supported our sisters. During the afternoon 2 women in the room, Kairin & Mary each stated their ambitions to stand for elected office. The optimistic, encouraging and hopeful energy in the room was palpable. We all knew that if different spheres of Government were represented by the gloriously diverse group of women we saw in that room, that our democracy could function effectively. We can’t wait another 100 years until that happens - we need momentum and action sooner than that. We hope we can have another day following on from 100th, bringing together more women to join the conversation and engaging senior representatives from relevant public bodies in Scotland to join us. This is a movement and the more people – women and men – who can jump on board, the quicker we’ll reach our goal!